Hi lovely ladies! Hope you're well, I'm feeling a bit down in the dumps with this awful weather. Typical English summer, warm and sticky with overcast and rain. I go on holiday next month for some much needed sun and sea so I thought I'd better get stocking up on some new clothes and make-up. 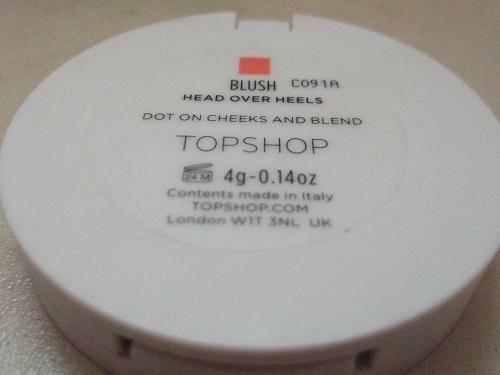 It's a great thing I did, as I found this blusher from the Topshop make-up range. So the other day I armed myself with my umbrella and jacket and headed out to do some 'window shopping'. Ahh, I'm excited for the day to come where I go somewhere with a Topshop/River Island/Primark/New Look and I leave empty handed. It won't ever happen. 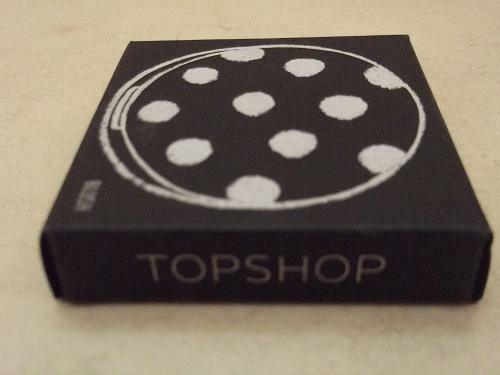 Now, it may come as a shock to you all but I am in fact a Topshop make-up virgin (I know!). It's never really caught my eye in the past, but when I was last there I had a wander over and a little nosey at what all the fuss was about. I ended up purchasing a few bits rather than just the one because honestly, there is so much selection. It may just be the Topshop store near me but I really did have my pick of the bunch. After coming to the end of my little nosey I almost walked away and thank goodness I didn't. The blushes which are so highly spoken about screamed "come and get me" so I had a look at the colours which they had to offer. A year ago if you'd have said to me that coral and orange would be my go-to colour choices for lips and cheeks I'd have laughed in your face. But now, I absolutely love it. I think corals are really flattering on every type of skin tone, providing you don't overdo the cheeks. I do love a coral statement lip though. I swatched Head Over Heels on the back of my hand, held it to the light, and voila! I was in love. 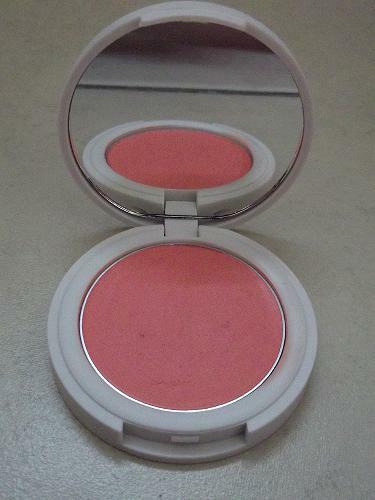 I did notice a difference to regular blushes, as it's a cream rather than a powder. Now I'm usually slightly scared and honestly put off usually by creams as I really dislike the feeling that I have something thick on my face. But the cream actually turned into a slight powder format once it dried which was even better. Slightly chuffed with myself I made my purchase and couldn't wait to get home and try it out. Once I applied Head over Heels to my face after setting my foundation with powder I actually really liked the effect it had. Those who read a previous blog post will know I only recently have started using blusher as I usually stick to my trusty bronzer on its own but I started to branch out and be more adventurous with what I use (not that adventurous I know but it's a starting point). The picture below makes it look more of a pink coloured blush but I promise it's not (damn camera). I really liked the way it glided on too, so easy and not messy in the slightest. You simply dot it on and blend outwards. One thing I like about it is the packaging. So simple but so sweet and girly looking at the same time. The only downside is the fact that white make-up packaging gets unbelievably dirty in your make-up bag and it's the same with black bottled products. For only £6.00 it really is a bargain. 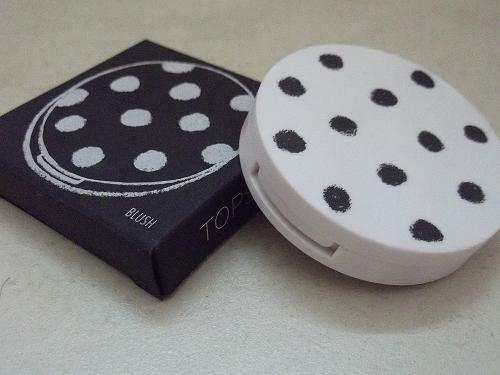 I do really like this product from Topshop, so I will repurchase it when I need to. I'm dying to try the other colours of blush as I'm hoping they work wonders as much as this does. Have you tried Topshop make-up? 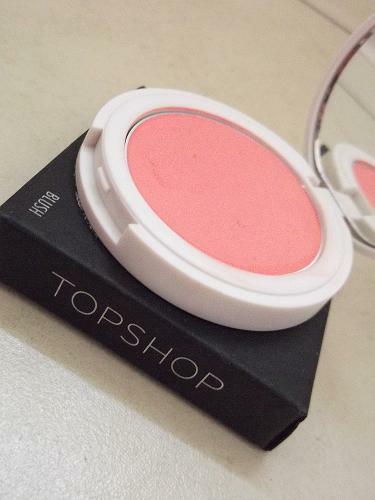 Or are you a blusher virgin like me and just getting into it? Really love this colour but cream blushers dont sit well on my skin! I have not tried one for years though so I might have to investigate!